Last week, a contractor with the National Security Agency (NSA) revealed that the agency is reviewing large amounts of data from cell phone and internet companies. 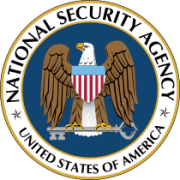 The NSA is looking for patterns that tend to indicate terrorist activity. The data collection requests went through a court review, as required by the Foreign Intelligence Surveillance Act (FISA). The programs are supposed to ensure that they are focused on foreign suspects. I want to know more about how this data is being collected and used. I also want to be certain our intelligence agencies are confident that they have effective controls in place to ensure data collection on U.S. citizens is not abused and respects Americans’ right to privacy. This is a complex issue, and I think it’s important that we proceed carefully as we learn more. I’ll keep you posted on how this develops, and what comes next. If you have questions or concerns about this program, please email me. We need a robust discussion on this issue, and I welcome your opinions.